Regardless of your site’s niche, chances are you’ve heard of conversion funnels. However, if you’re new to running an online business, you may be confused about what they are and how they impact your site’s success. If this is you, you’re missing out on potential conversions and income. If you use a Call To Action (CTA) at any point on your site, you are essentially utilizing a conversion funnel. The trick is to identify your funnel and optimize it to its fullest potential. The process can be as complex as you like, but at a base level, you simply need to consider your reader’s ‘journey’ through you site. In this post, we will discuss what a conversion funnel is and how to identify yours. We’ll then dive into the different layers of it, and how to enhance each one. Finally, we’ll discuss how to optimize your conversion funnel with the use of exit intent popups. We have a lot to cover, so let’s get to work! Some conversion funnels are quite broad, but this can differ depending on your needs. A conversion funnel is simply a way to visualize the path you guide your visitors through, to convert them into a prospect or customer. If you use a CTA to encourage your readers to sign up for your email list, leave a comment, or make a purchase, you already have a conversion funnel on your site. However, you may not have optimized it sufficiently to ‘move the needle’. There are different schools of thought on how to break down the layers of conversion. Some are more broad than others. Essentially, you’re trying to specify a distinct step that the visitor will take from casual browser to full-fledged customer. Each of these steps will need special attention to maximize the number of people who pass through successfully. If this is a new concept for you, the good news is there’s a four-layer concept that is great to begin with. To keep things simple, we’re going to focus on the levels identified by Saad Kamal so you can start examining your own funnel. Awareness, Interest, Desire, and Action (AIDA) is only one method, but in our opinion it’s a great way to get started. By optimizing each level, you improve your chances of bolstering your leads and sales. Google Analytics is key for optimizing for your conversion funnel. First up, awareness is how your prospects learn about or discover your site. This includes social media, organic search, and advertising. This first level is key to garnering leads, because you won’t secure a sale if no one knows you exist. To begin the optimization process here, you’ll need to turn to analytics. 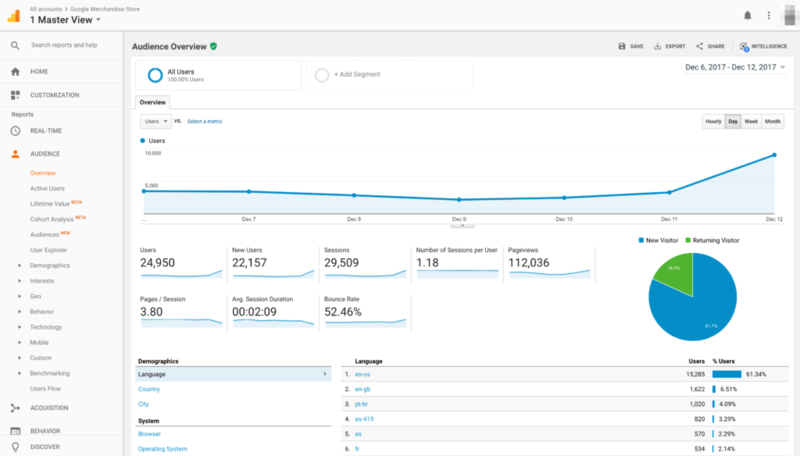 This is data garnered from your site’s traffic, and you can use a tool like Google Analytics to firstly examine where that traffic is coming from, then focus on enhancing those entryways. It’s a multi-pronged method that initially requires you to understand how to use Google Analytics fundamentally, before delving into the metrics specifically. As for increasing awareness, this is also called an ‘acquisition strategy’. However, at a base level, making sure you are targeting the right demographic with quality content across all of your marketing platforms is usually a very good start. Having a solid content marketing strategy can help create interest in your products and services. Interest is what keeps your prospects engaged once they’ve become aware of your business, and it occurs primarily through your content. By enhancing this level of the funnel, you’re subsequently building audience trust, and the relationship as a whole. Your readers get to know you, your brand, and whatever services or products you offer through reading your site. 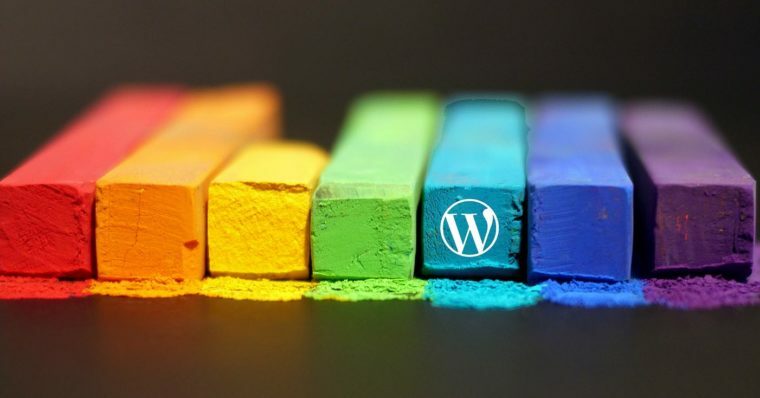 To build interest, you’ll need content that’s valuable and attention-grabbing. How you go about that relates to your goals and strategy, but even after you’ve amplified your content, you’ll still need to refer back to your analytics to make sure your changes are on the right path. The best way to measure interest is through reader actions. Comments, social media likes, or signups are all great metrics to consider. Seeing solid numbers on each of these elements will help you refine your funnel further. 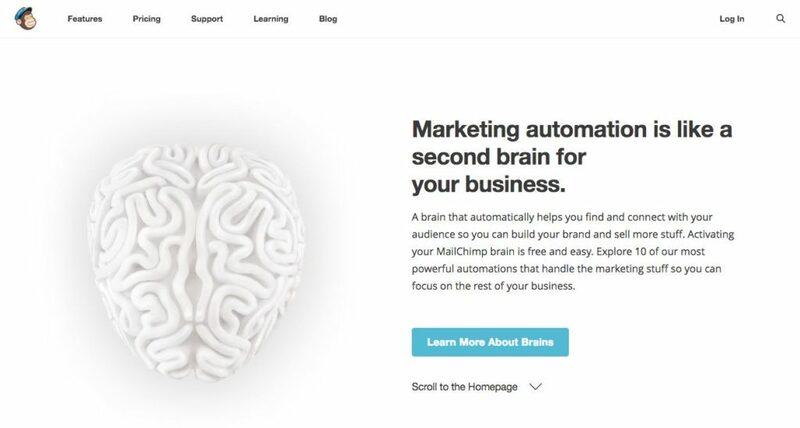 MailChimp’s autoresponder integrates easily with Popup Maker. Next up, consider desire as the propulsion of interest. Once you’ve won attention and encouraged interest, you can build on it to create a desire for your product or service. An easy way to build on this level is to offer a choice – for example, do your prospects want to learn more, or do they want to abandon what they’ve learned so far? Since your content has led them this far, it should encourage the former. Also, as it likely encouraged the initial interest, it can be the bridge to promoting desire in your business. Autoresponders can help with this – they’re automated emails sent to subscribers, with companies such as MailChimp and AWeber leading the way. By sending automated emails at regular intervals discussing interesting content, you can also include desirable aspects such as a related product, or a service that complements a recent blog post. Action is usually decided through your CTA button. Action is usually the final step of your funnel. It’s your ultimate goal, the whole point of your funnel, and where the reader becomes a conversion. This could be through providing personal details, making a purchase, or whatever else you deem is a conversion. Of course, if your analytics are showing good performance across the board, but conversions are down, it could be that you need to enhance the action part of your funnel. Your first port of call should be your CTA. It’s going to be the element that will impact whether the visitor actually clicks a button, so focusing on its effectiveness will pay dividends. If possible, offer a free trial of your products and services. You’ll also want to study the competition, and find out what works (and, more importantly, what doesn’t) and what you like. Once you have these elements in place, the final step is to optimize your funnel. 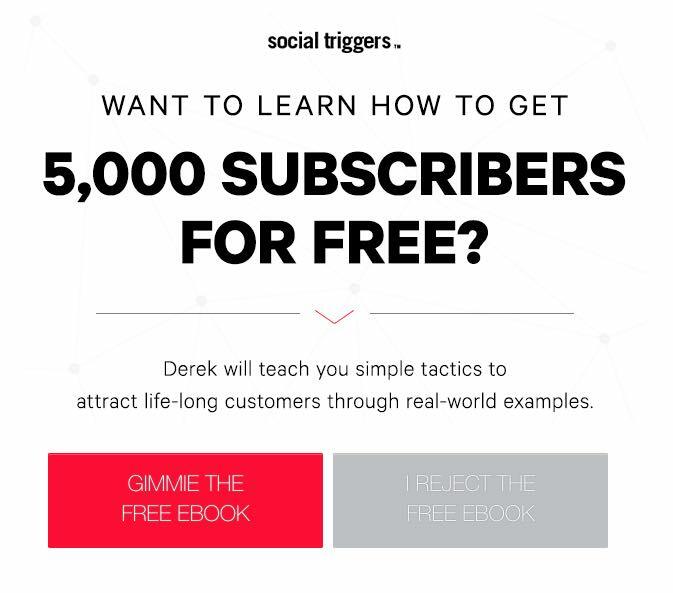 This exit intent popup from Social Triggers is designed to generate new leads consistently. Once you’ve identified your conversion funnel and examined the ways to enhance each layer, it is time for you to leverage that information to enhance your conversions and sales. While the awareness and interest are usually handled elsewhere, ‘exit intent’ popups are great for optimizing the desire and action of your funnel. Using the extension, you can ‘sweep up’ any uninterested stragglers before they leave your site for good with an offer they can’t refuse – a free e-book or a one-time discount code, for example. Of course, if they’re intrigued, by clicking through they’ll also be taking action. Also, by using unique exit intent popups for different pages, you can also use the the Popup Analytics extension to discover your most successful popups and replicate the formula in other crucial places throughout your funnel. Both extensions can be found in our Core Bundle, along with many others. If you’re new to online marketing, you may find yourself intimidated by the concept conversion funnels. However, understanding that you’re most likely already using one and how to optimize it can help you increase your conversion rate and lead to more sales. 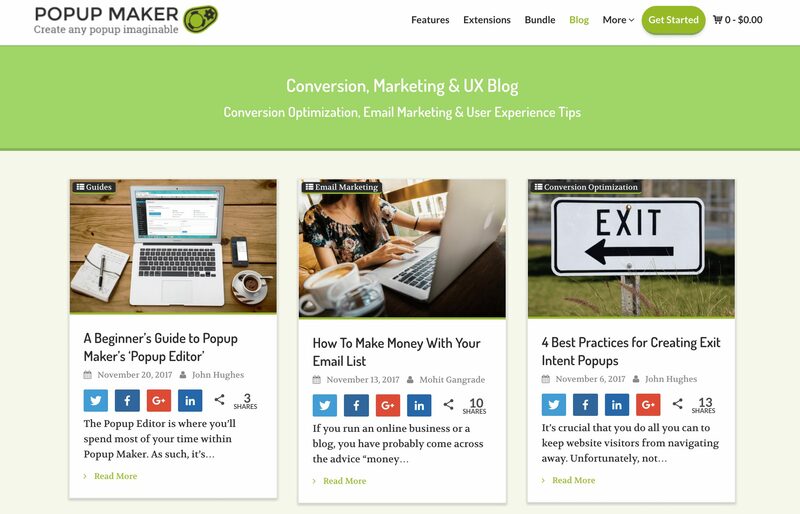 We’ve covered a lot of ground in this post, including what a conversion funnel is, how to identify yours and how to optimize it using Popup Maker’s functionality and extensions. We also discussed each layer of a basic conversion funnel (utilizing the AIDA method) and how to enhance each. Do you have any questions about conversion funnels and how exit intent popups can help you optimize yours? Let us know in the comments section below!